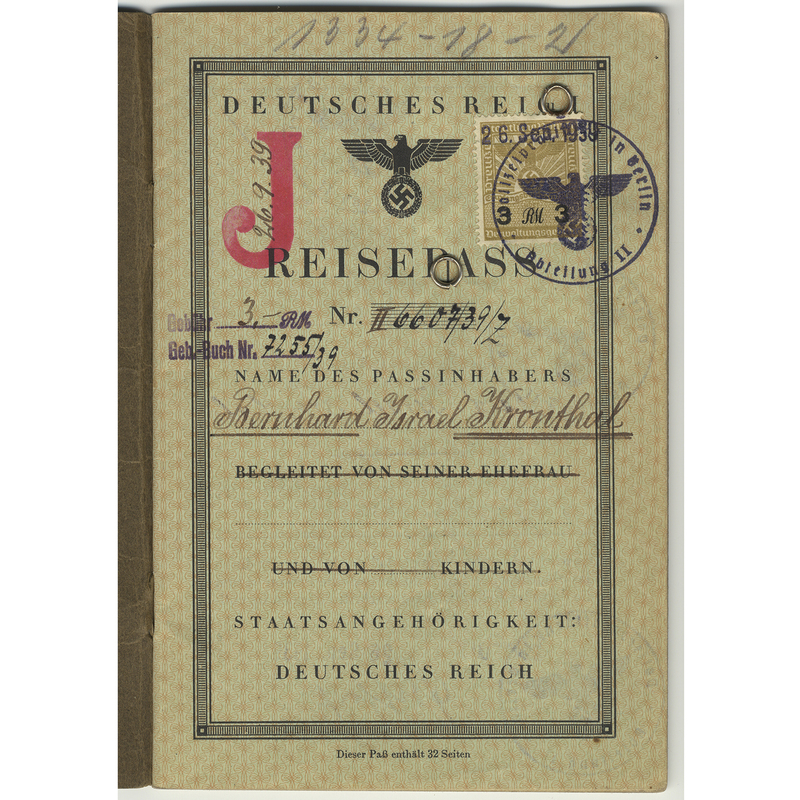 The Swiss government requested that German passports be marked with the letter J for Jude, thus preventing Jews from passing themselves off as non-Jews and finding temporary shelter in Switzerland. 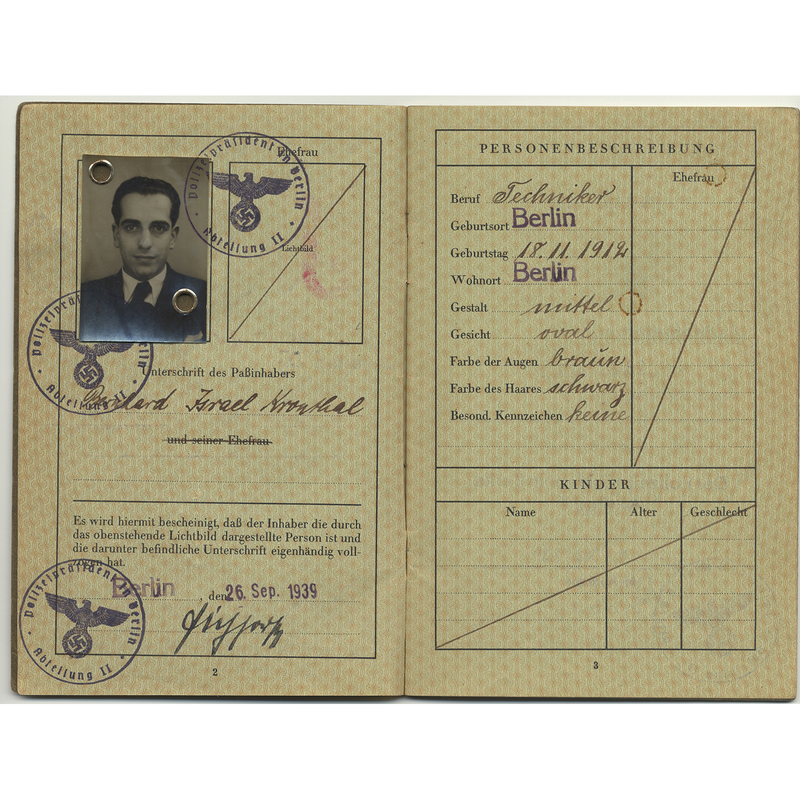 Germany complied with the Swiss request on October 5, 1938. 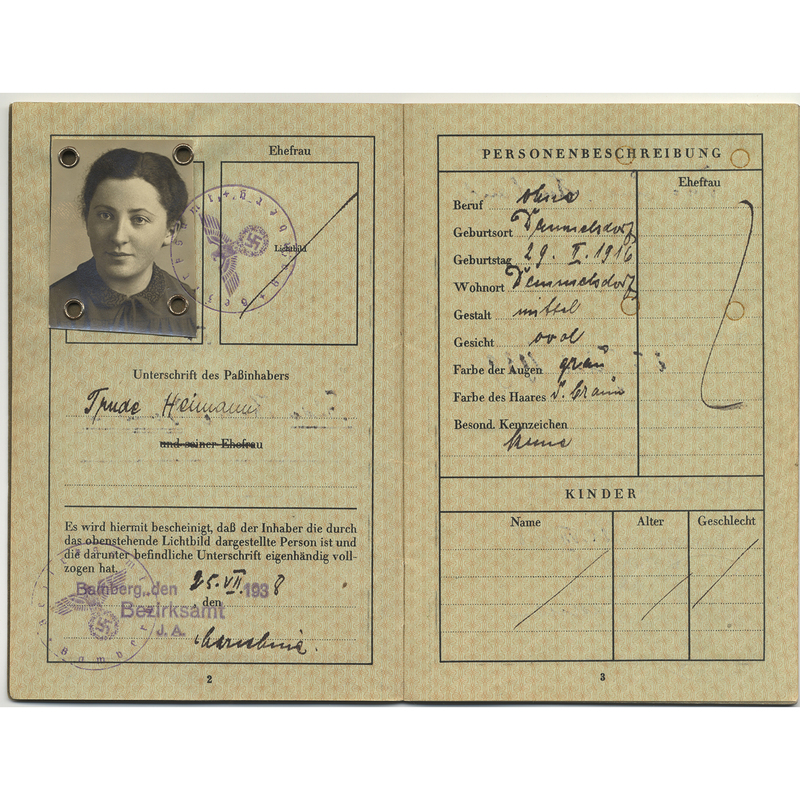 Dimensions: 5 7/8 x 4 1/8 in.